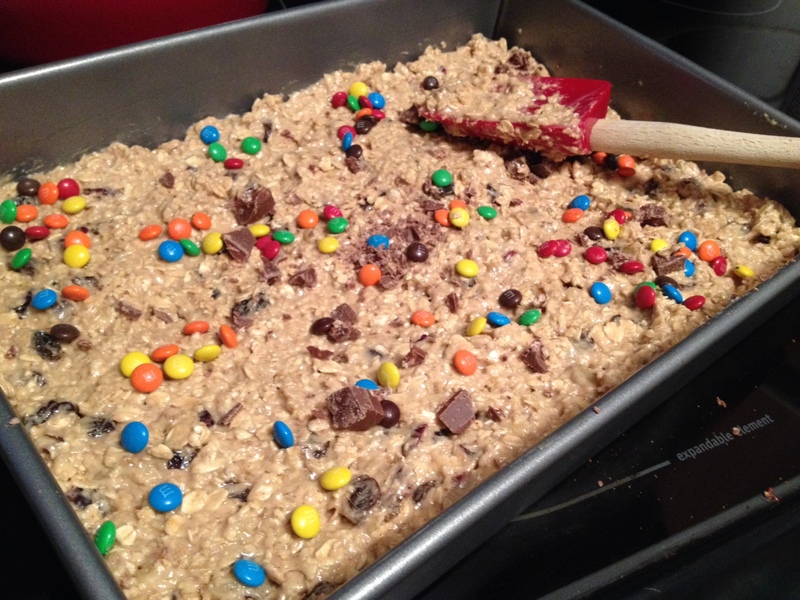 “Spring Clean Your Fridge” Challenge Day #5: Oatmeal Raisin Mash-Up Bars! Instead, I thought to myself, well, maybe I can make some of those applesauce oatmeal raisin muffins instead! Sigh. What to do, what to do? 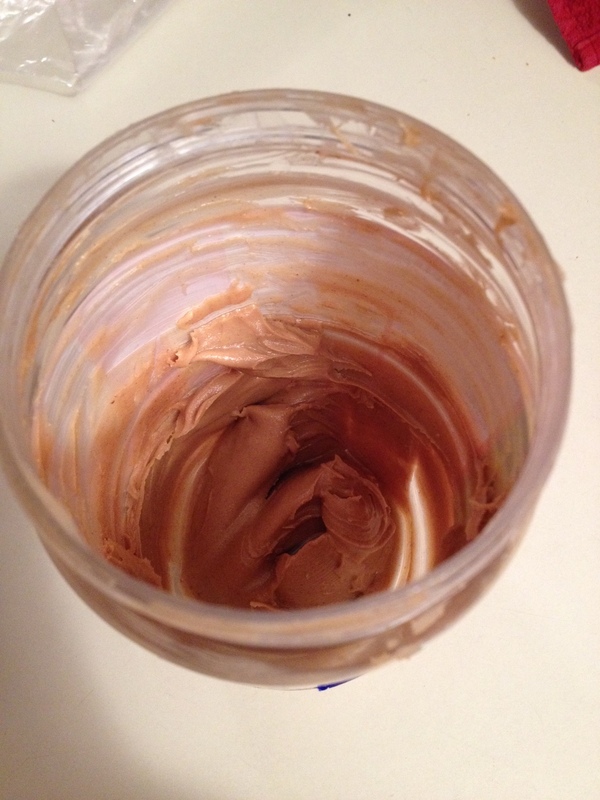 Break the pact, go to the store, and get the darn PB and milk? And shame myself publicly when I post a recipe full of LIES? I decided I would make do with what we had. And luckily, what we are not anywhere close to running out of, is oats. Happy happy, joy joy. I love oats. And they love me. 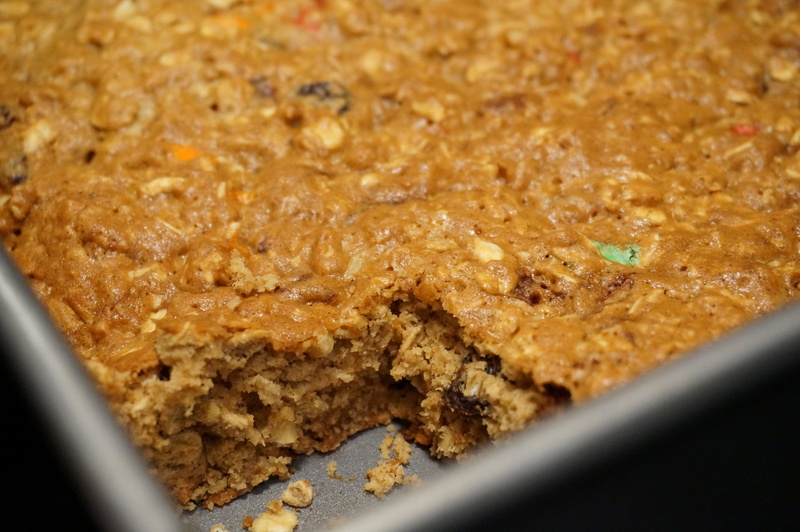 I felt too lazy relaxed after my spontaneous Friday night Sangria date with my dear friend Sarah to actually make cookies, so I decided to make oatmeal raisin-esque breakfast bars. I also didn’t want to deal with waiting for our frozen butter to soften, so I substituted half of with our one lonely applesauce cup remaining. Hey- it’s healthier that way, right? You PT Olympians can thank me later. 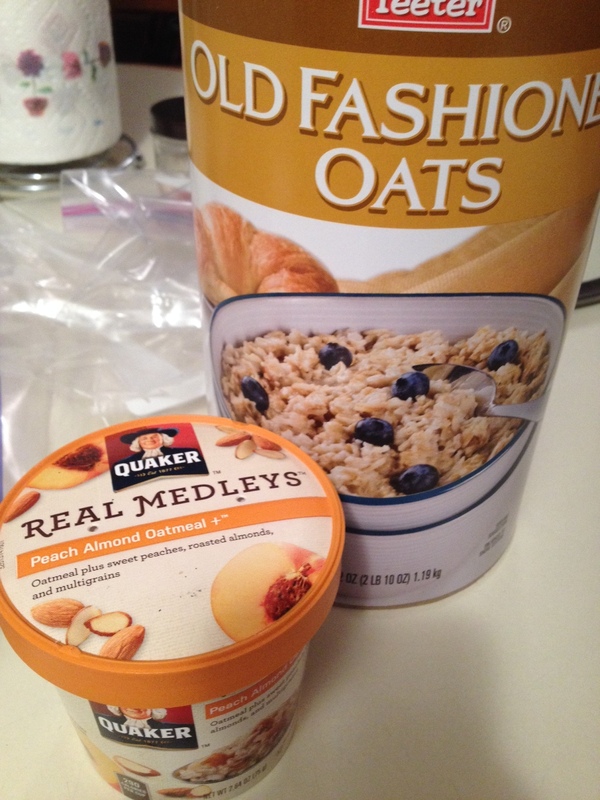 I had a Quaker Oats Peach and Almond flavored oatmeal container in the pantry, so I decided to use that to substitute for some of the oats and sugar (the stuff on its own is a tad bit too sweet for me to eat by itself!). I also sprinkled in some leftover Easter candy- mini m&ms and two crunch chocolates (which MAY have been from last year’s Easter baskets…). Also added in some cinnamon, nutmeg, raisins, walnut morsels, and dried cranberries. The result ended up being a not-too-sweet, almost healthy tasting cookie bar that puffed up nicely! A raid-your-pantry kind of dessert, perfect for getting rid of extra leftover Easter candy! Preheat oven to 375 degrees. Spray a sheet cake pan with cooking spray. Using an electric mixer, cream together butter and sugars until fluffy. Add applesauce and beat until smooth. Add eggs and vanilla and continue to beat until smooth. In a separate bowl, whisk together flour, oats, baking soda, salt, cinnamon, and nutmeg. Gradually beat into the wet ingredients. Stir in fruit, nuts, and candies. Bake 15-20 minutes or until top is golden-brown. 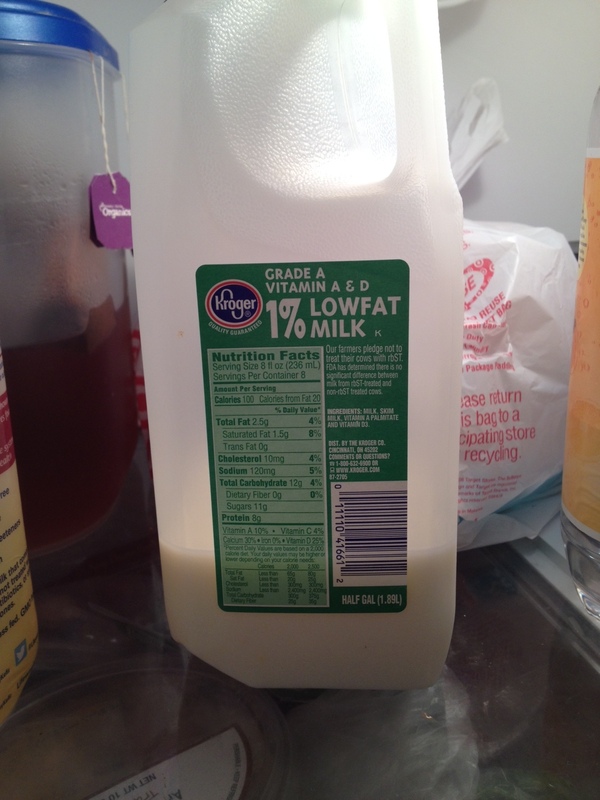 “Spring Clean Your Fridge” Challenge Day #4: A Mid-Week Break!